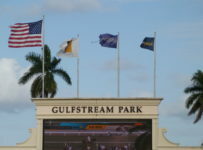 This Saturday Nov. 28 will be a transition day for Florida’s Thoroughbred tracks. 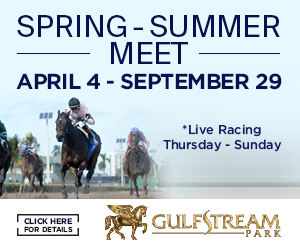 It will be opening day for the 2015-2016 race meet at Tampa Bay Downs, with first post at 12:25 p.m. 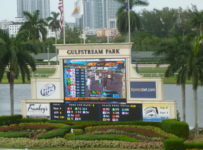 It will be closing day for the Gulfstream Park West meet, being conducted by Gulfstream Park at Calder Casino & Race Course in Miami Gardens. 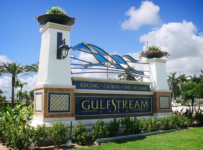 On Saturday, Dec. 5 racing in South Florida will be shifted eight miles east to Gulfstream in Hallandale Beach for opening day of Gulfstream’s 2015-2016 championship meet. 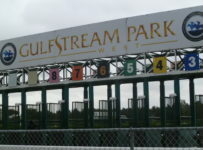 The Oldsmar track will begin with racing three days a week–Saturdays, Wednesdays and Fridays. It will add Sundays on Dec. 20 and, with three exceptions, have four-day race weeks for most of its meet that will extend through next May 8. 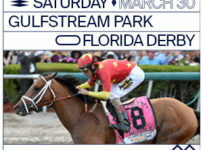 It will have racing on Thursday Feb. 18 and Thursday Feb. 25 and be dark on Easter Sunday, March 27. 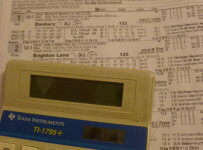 Tampa Bay Downs’s opening day entries will be out on Tuesday afternoon. 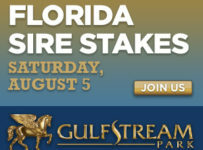 No stakes races are scheduled for the card. 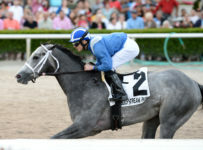 Tampa Bay Down’s first stakes races are scheduled for Dec. 19. 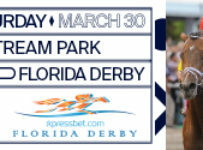 It will have the $100,000 Inaugural Stakes for 2-year-old males and the $100,000 Sandpiper Stakes for 2-year-old fillies, each at six furlongs on dirt. Also scheduled that afternoon is the $100,000 Lightning City Stakes, for fillies and mares 3-yers-old and up at five furlongs on turf. 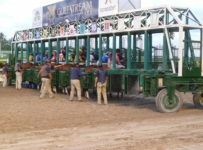 Tampa Bay Downs will be open for simulcasting each day prior to the start of its meet and on dark days during its meet. GP West this week will have racing Wednesday through Saturday. 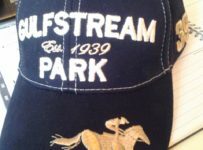 Daily first post time is 12:35 p.m.
On Saturday, Gulfstream will have six stakes races–all for 2-year-olds with $75,000 purses. 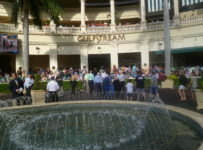 Gulfstream will have daily simulcasting until the start of its championship. It will have simulcasting on dark days during that meet. 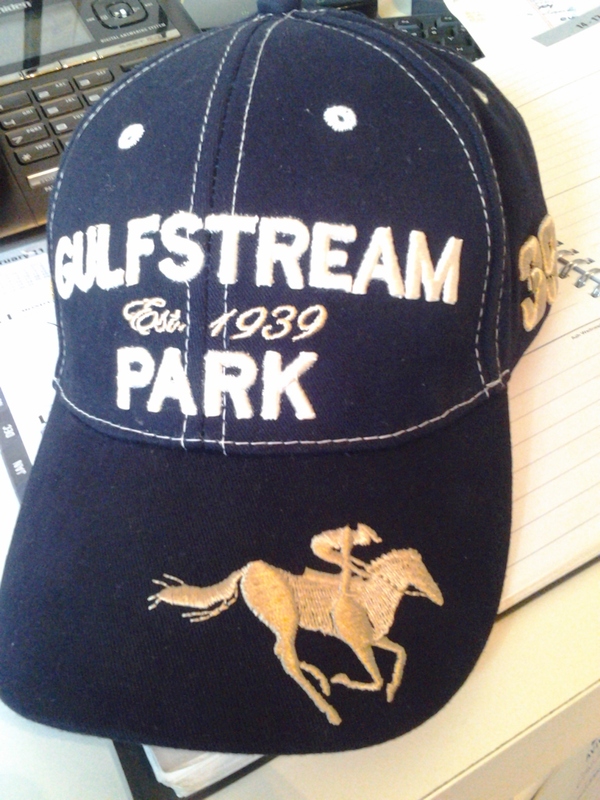 Gulfstream will have the Claiming Crown on Dec. 5, making it the fourth straight year it is holding the event. Calder will not be open for simulcasting after the end of the GP West meet. 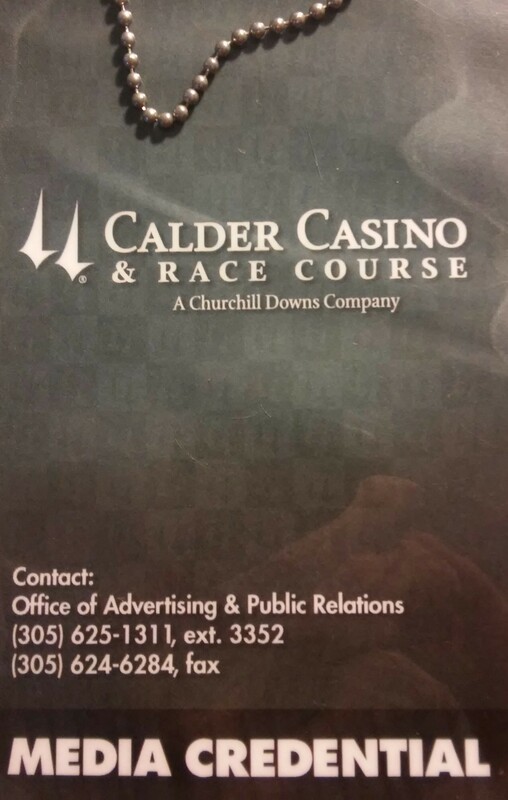 For information on the racing at GP West (Calder), use the Gulfstream Park contact information listed below. * Live racing — Wednesday through Sunday, first post is 12:35 p.m.
* Simulcast wagering — seven days a week with more than 30 thoroughbred and harness tracks; open for simulcasting from 11 a.m. until approximately 11 p.m.
* Poker — 10:00 a.m. to 4:00 a.m. on Sundays through Thursdays, and 24 hours on Saturdays and Sundays. 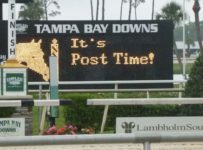 Tampa Bay Downs will resume live racing on Nov. 28. 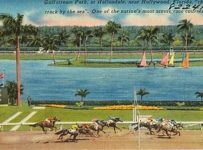 Prior to then, it is open seven days a week for afternoon and evening simulcasts of thoroughbred races from more than 20 tracks. A schedule may be obtained by calling the numbers listed above. *The Silks Poker Room hours of operation: Daily, 10:00 a.m. – 4:00 a.m.
Short Game Area: 8:30 a.m. – dusk daily (lights out at 9:45 p.m.